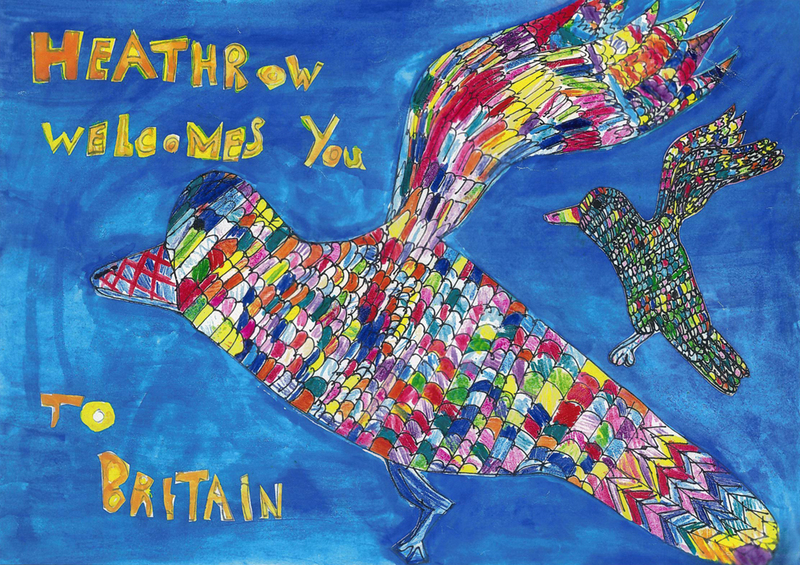 In 1996 children's TV show Blue Peter launched a competition to design a poster for Heathrow Airport. The poster was to celebrate the airports 50th birthday by welcoming travellers from all over the world to Britain. I painted a pair of birds landing using watercolour, ink, and pencil. I was a runner-up and won a Blue Peter Badge.